Want to build team spirit, boost performance, and inspire your group to reach new heights? Rock the Stars delivers entertaining team building programs that energize teams and create lasting bonds between colleagues. Flexible, high impact activities designed to engage and motivate. Lessons in communication, risk-taking and working together as a team. Engaging and meaningful connections with colleagues and friends. Confidence in achieving something they never believed possible. An inclusive group experience that makes a lasting impact. Programs are available throughout the US, Canada, and globally for groups of 6 to 1000+ with activities ranging from 1 to 6 hours. 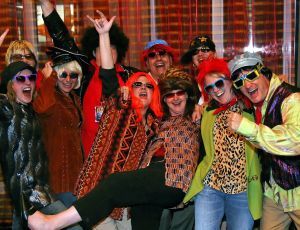 Rock the Stars can be done in hotels, resorts, convention centers or anywhere that meetings and events take place. Rock the Stars offers a variety of music based team building and experiential entertainment suitable for almost any meeting, event or group. Each activity is flexible in design, scalable to size, and appeals to all, requiring no previous musical experience. A collaborative group activity that brings out the rock star in everyone! 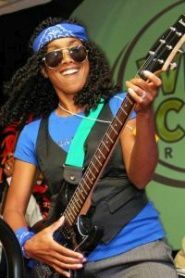 Participants form a rock band and learn to perform a song with real instruments. Facilitators teach band members how to play and work together as a team. Costumes transform participants into rock stars. The activity culminates in a battle of the bands where teams rock out their song. Inspiring team activity that uses music to reinforce messaging and learning. Teamwork and creative thinking are the focus of this group activity. Teams collaborate to write lyrics to popular songs based on meeting themes and content. Groups perform their songs as a team backed by a live band or DJ. Create your own company song! 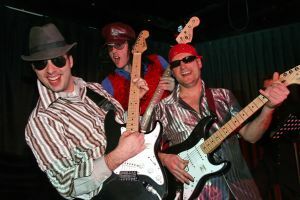 Transform your group into instant rock stars! Teams compete in a high-energy lip sync & air guitar battle. Costumes and props unleash your inner rock star. Vote for winners in battle and knockout rounds. An energetic MC encourages participants. The emphasis is on teamwork and confidence building. Create excitement and team spirit bonding over your favorite music! Dynamic team building activity or conference game changer. Groups sing popular songs by artists whose music inspires them. Like being at a concert and singing along to your favorite song or artist. Songs can be customized to incorporate meeting themes and company values. Philanthropic team building that serves a vital need in the nonprofit sector. Take part in a team building activity alongside workers from a designated charity or nonprofit. Participants work together exchanging stories, insights and knowledge. Transformative experience increases employee engagement and retention. Corporate Social Responsibility (CSR) activity that has a real impact. Amplify your next event with live band karaoke! Experience the thrill of performing with friends & coworkers in a live band. Sing as a group or play an instrument with the band. Feel like rock stars while bonding over your favorite music. Add zing to galas, award ceremonies, special events, or fund raisers. 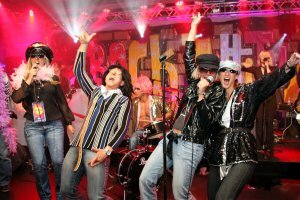 For all activities Rock the Stars provides everything needed for a memorable event including facilitators, MC, costumes and instruments. 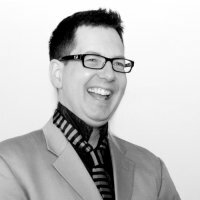 10 minute energizer or general session opener that brings the wow factor to your conference! An enthusiastic MC and 2 awesome guitar players battle for rock supremacy. The audience is part of the action, directing the guitarists and choosing the winner. The result: a group that is energized, receptive, and engaged. General Session Opener or Closer, Award Show, Kickoff Event, Product Launch. Rock the Stars' own Jeff Pearce is a founding member of award winning, multi-platinum group Moist, a band that was initially turned down by every record company in North America but went on to sell over a million albums. This 30-minute multimedia presentation is a behind the scenes look at the life of a rock star and a story about how much can be accomplished when an individual or group is willing to take risks, think creatively and trust their team. The presentation includes video clips from sources like MTV and the Juno Awards. It also includes photos and clips from Jeff's own collection, including never before seen footage from the first Moist tour. The presentation concludes by describing how Jeff's career has evolved from performer to producer to educator, and how risk, creativity and trust continue to inform his life's work. © 2018 Rock the Stars. All rights reserved.